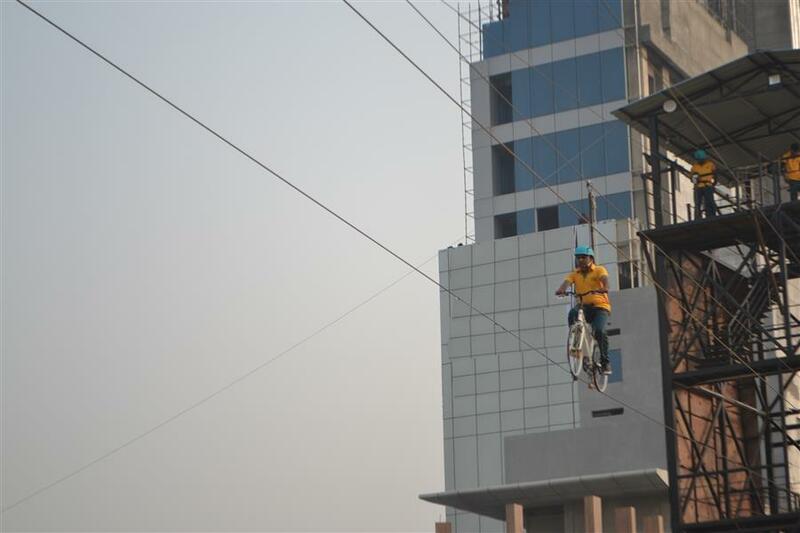 North India’s First Sky Cycle Adventure Sports Centre Is Now Open In Gurgaon! Calling out all the adrenaline junkies out there, this new adventure sports centre in Gurugram will be your new walk-in paradise. Frenzy Adventure Zone has the most exciting and nerve-wracking activities for everyone to enjoy with friends and families. Wanna know more deets? Have you ever wondered what it would be like to ride a bicycle 25ft above the ground level? Well, this place brings to you the first adrenaline pumping Sky Cycle in North India ever! Along with the sky cycle, watch out for the Zipline, 40ft high Wall Climbing, Rappelling, 8-course ropeway, Bungee Run and many more of such adventurous activities for all age groups. Exciting? Yass!! You can also indulge in the delicious food and beverages at the Frenzy food trucks while your little ones binge on their sugar candies, popcorn and more such treats at the park! People, there is no better way to welcome the winters! Tagged Bangalore, gurugram, Mumbai, New Delhi, noida, Sky Cycling and Bumper Car racing: This Adventure Park In Gurugram Is LIT AF! WOW!! Delhi-NCR Ranked Among 100 Most Expensive Office Locations Globally!